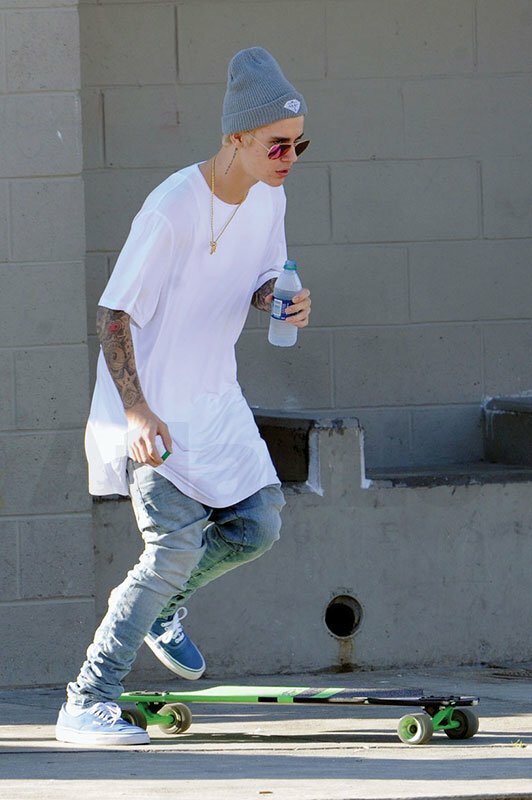 Justin Bieber covered up his freshly dyed blonde hair with a beanie in the warm LA weather. His blonde hair was clearly visible as it peeked under his wooly hat. Bieber spent the day incognito as he practiced his skateboard tricks in Venice Skatepark right by the beach. Bieber was accompanied by a couple of friends, his dad, security guards and a couple of female friends who watched and filmed him while he took the day off to relax. Justin just announced on Instagram the release of his new single Friends produced by Bloodpop which is set for release on Thursday, Oct 17th, 2017. VIDEO: Justin Bieber is the Voice of K.I.T.T from Knight Rider in the Upcoming Killing Hasselhoff! 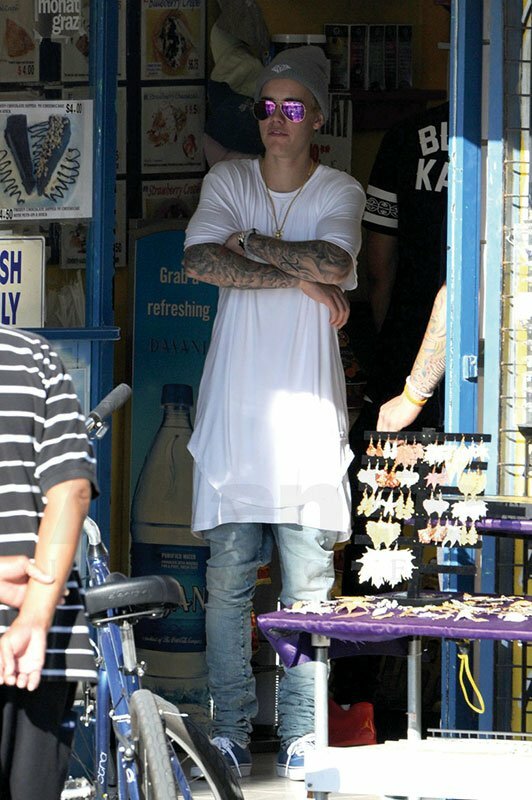 Bieber was also seen stopping off at a store before skateboarding back to the skate park holding a bottle of water and crossing his arms showing off his tattoos. Justin Bieber has reportedly thrown his support behind Cruz Beckham’s charity single If Every Day Was Christmas.